Ranveer Singh, Kiara Advani & Ayushmann Khurrana To Be Honoured At Global Village Dubai! The curtains for one of the biggest award shows in Middle East – the 13th edition of Asiavision Movie Awards will be raised on February 16, 2019 at Global Village Dubai. Known to felicitate the best performers and technicians of Hindi, Malayalam and Tamil language cinema, this year too, the Asiavision Movie Awards will honour top talents from South Indian and Hindi films. Bollywood actors Ranveer Singh, Kiara Advani and Ayushmann Khurrana along with top South Indian actors including Manju Warrier, Tovino Thomas, Dhanush and others will be felicitated at the prestigious awards night. While Ranveer Singh and Ayushmann Khurrana are all set to bag the ‘Best Actor’ and ‘Best Actor Critics Award’ trophies respectively, Kiara Advani will be honoured with the Emerging Star of the Year gong at the Awards night. The year 2018 was an extremely successful year for all these three actors. While Ranveer Singh ruled the box-office with Simmba, Ayushmann enjoyed a great run with not one but two hits – ‘Badhaai Ho!’ and ‘Andhadhun.’ Even Kiara’s career saw a phenomenal rise in 2018. The gorgeous gal made her South debut with the massive hit – Bharat Ane Nenu opposite Mahesh Babu and her smashing performance in the Netflix anthology Lust Stories, further catapulted her career to new heights, making her the rightful contender for the ‘Emerging Star of the Year’ honour. 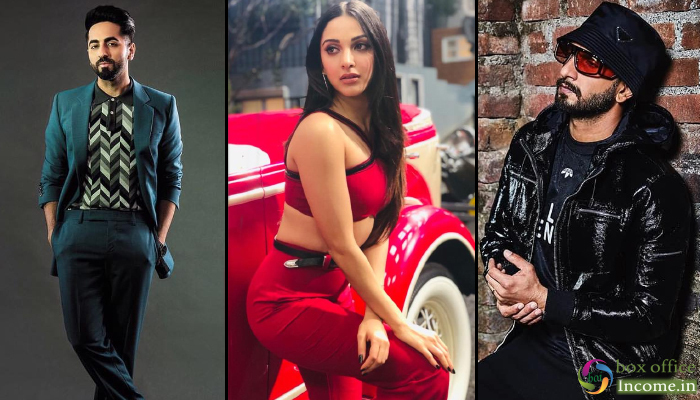 Kiara, Ranveer and Ayushmann will be in Dubai along with other A-listers of Bollywood and South Indian film industry to attend the grand Award’s night, which will also have a special performance to commemorate the Year of Tolerance. The entry to the Asiavision Movie awards is included in the Global Village entry ticket of Dh15. Gates open at 4pm and the show is scheduled to start at 6pm and go on until midnight.